Have you ever felt frustrated with the inadequacy of a two-dimensional screen to display the beauty of your listing? When you have a gorgeous home to market, you want potential buyers to experience the home through your photos, almost as powerfully as if they were there. Properties deserve more than a tiny picture on a computer screen, so we've developed a solution. Introducing our newest single property website design for homes that deserve the very best, designed for HD photos and widescreen presentation. 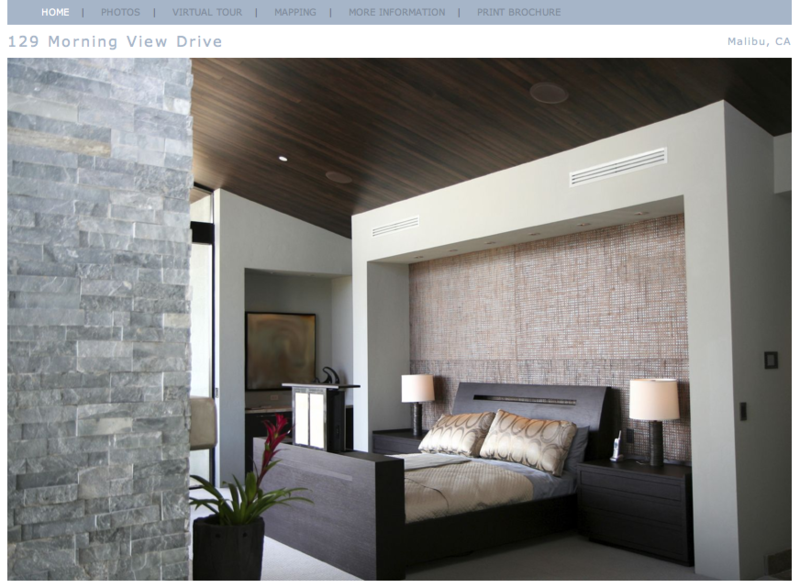 This layout combines crisp, clean lines with the prominent display of your beautiful HD photography to present your listing with breathtaking simplicity. Agent Peter Fisler of San Francisco has done a beautiful job creating a single property website for one of his luxury properties. See how his professional photos appear when presented in our newest layout! Our sample property shows just how stunning any property can look with the new layout. Make sure you check out the virtual tour link and play the tour in full-screen high definition! This newest layout is available to all members! Just add a property to the system and select layout #8 during set up. You can also give any current single property website a new, fresh look by editing the property and selecting layout #8. Just click Save, and your listing will instantly be given a gorgeous, widescreen makeover. This layout is designed for HD photography. Make sure you use the original, large versions of all of your photos for best results. Your virtual tour will not give you the full-screen play option if any of your photos are not HD, so if you have included some low-res photos in your photo gallery, create a custom virtual tour that includes only HD photos to make sure buyers are able to view it in full-screen.